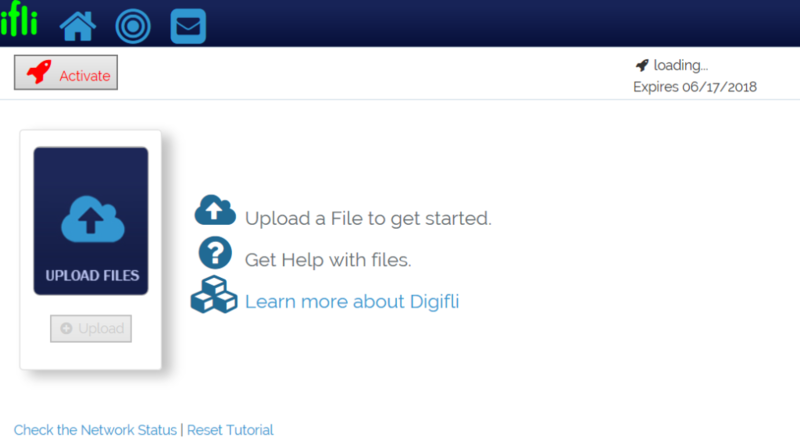 This quick start guide will get your campaign running on Digifli in just a few minutes. 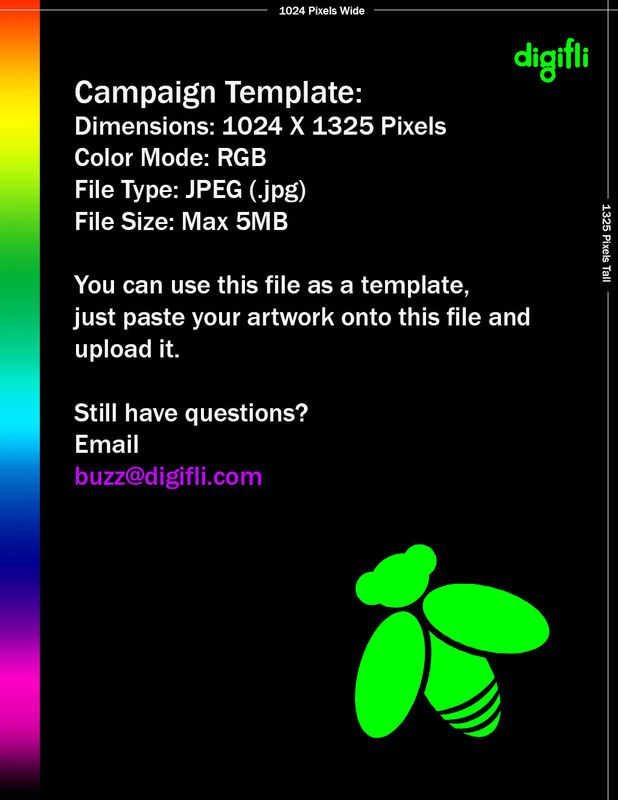 All you need is your campaign artwork. It should be a JPEG that is at least 1024 x 1325 pixels. You can click here to download a template. Click the cloud panel to upload your flyer. Purchase a plan or click the Free Trial Button. 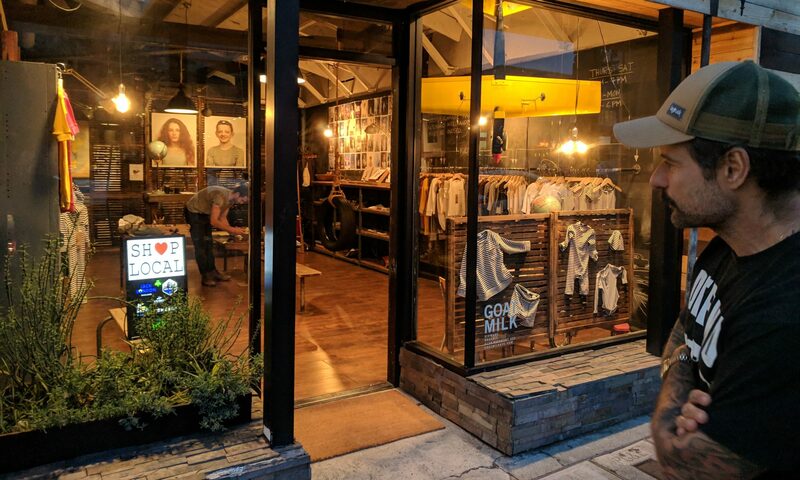 Choose the locations you want your campaign to appear. Click the name to see more information about the location. 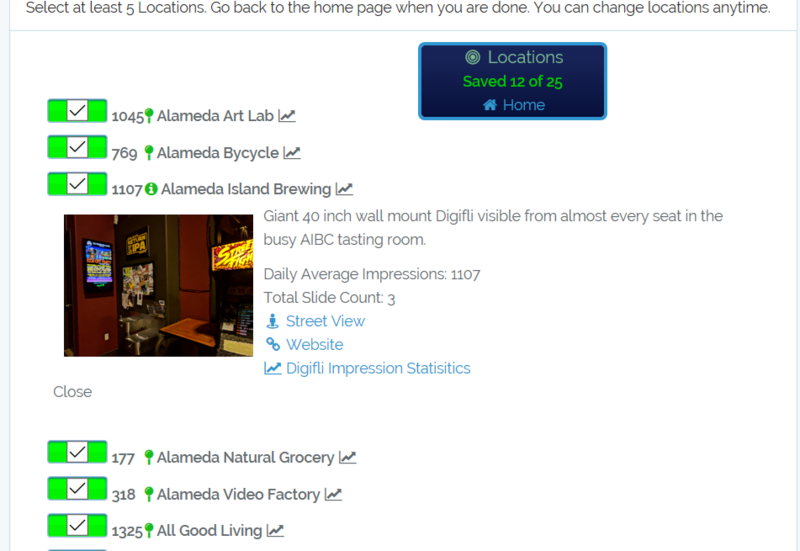 Digifli Impression Statistics show the current campaigns and impression count for each location. Click the campaign toggle switch to activate your campaign. 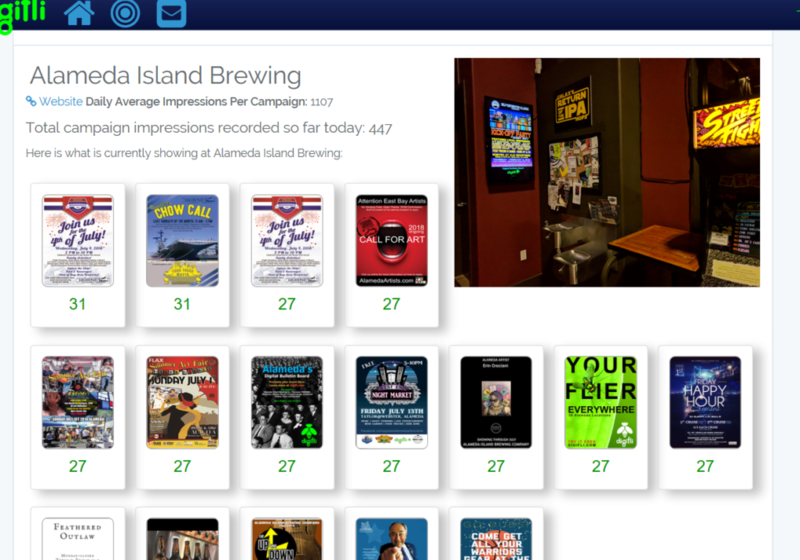 Once it is approved by Digifli your campaign will appear in your selected locations. 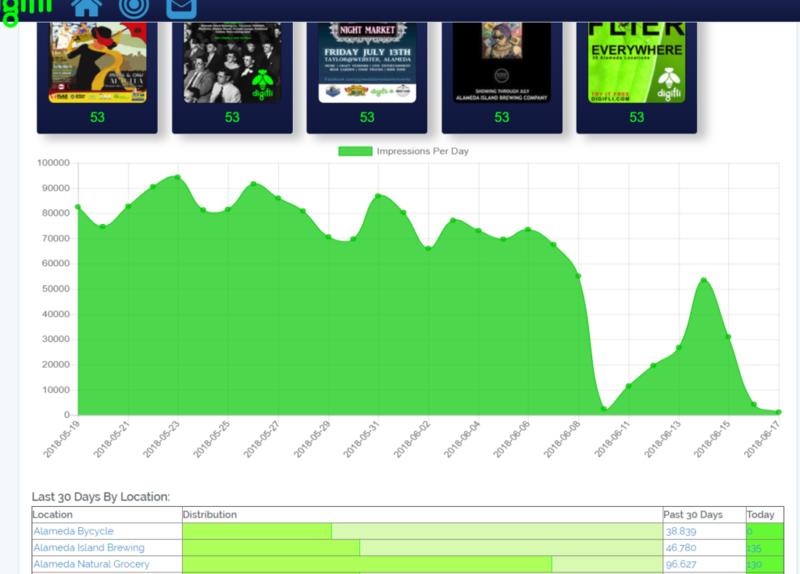 After 24 hours, you will have a statistics dashboard that shows how often your campaigns are displayed. 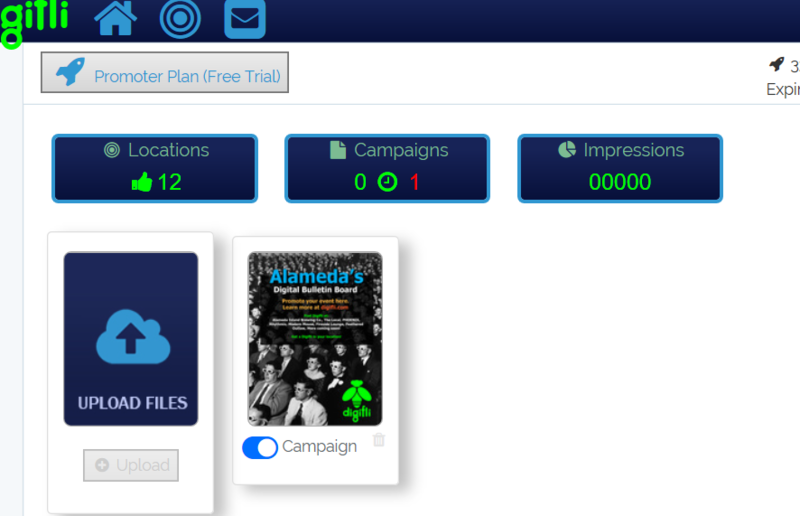 Start your Free Trial now and launch your own campaign.